Welcome to Bordeaux! Come and discover one of the most fascinating French towns that has resurrected. Coined the “Sleeping Beauty”, the city has over gone a radical transformation leading it to be declared UNESCO World Heritage in 2007. During our private guided walking tour of Bordeaux, you will discover the most famous monuments and landmarks that the city has to offer. Bordeaux has been classified a “City of Art and History” and is home to one of Europe’s largest collection of 18th-Century architecture. 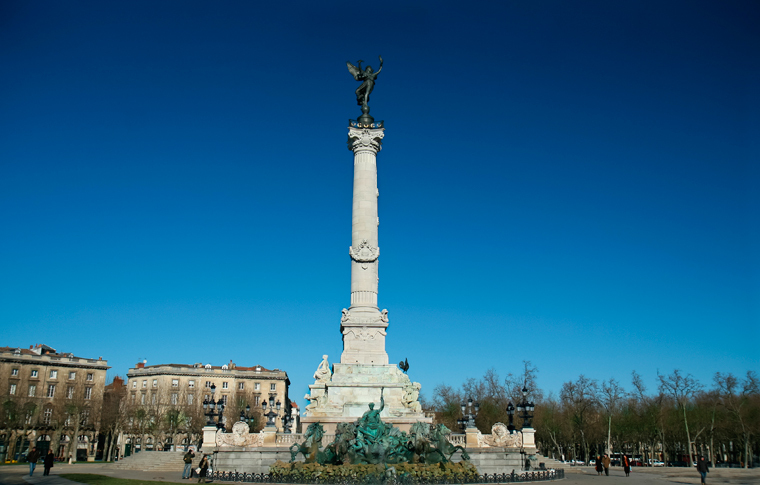 Follow your guide on this 3 hour tour and walk through imposing squares and handsome avenues, discover Saint Andrew’s Cathedral, the Monument of the Girondins, the Grand theatre and all the most important landmarks this city has to offer. Your accredited/licensed tour guide can be flexible on the itinerary but will definitely include the most famous landmarks.